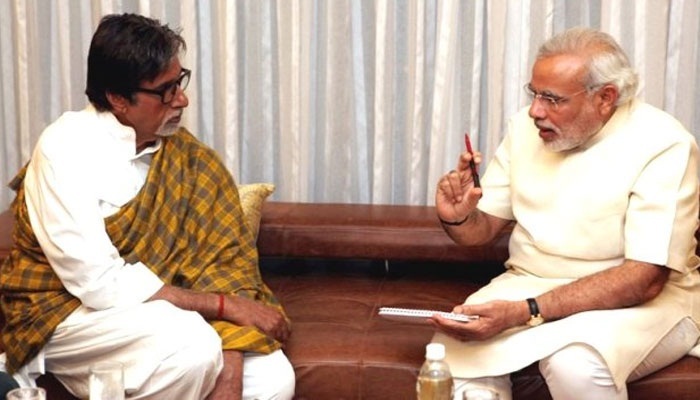 Actor Amitabh Bachchan is far more popular as a birthday party guest than Prime Minister Narendra Modi and Sachin Tendulkar among children aged 9-18 years, found a Unicef survey of 1,000 children in India as part of a 14 countries survey released on World Children’s Day on November 20. Barack Obama, Cristiano Ronaldo, Justin Bieber and Taylor Swift top the list of celebs on the must-have birthday lists in other countries. Terrorism topped the list of problems that children wanted their world leaders to take action on, followed by poverty and poor education, said the Unicef report released in New Delhi by Tendulkar. “India has done fairly well and has reduced child mortality substantially, but there are still areas that need to be worked upon. Girls in India are being neglected and you need better quality of education,” said Justin Forsyth, deputy executive director, Unicef. Violence against children, access to healthcare and poor education are the biggest concerns for children in India, with 51% children aged between 9 and 12 admitted worrying a lot about violence affecting children globally, and 43% worrying about being personally affected by violence. Children in India felt more empowered than the rest, with 52% of them believing their voices are heard and that their opinions can affect the future of their country. When the same question was posed to children in 14 other countries, 50% reported feeling disenfranchised. The results also showed that 91% of Indian children believe the world would be a better place if world leaders listened to children’s voices. Bullying is also a major concern with 60% of the children admitted to being worried about it. “Bullying is quite common among children, especially in schools. We need parents and teachers to be more cautious and dissuade any kind of bullying,” says Dr Samir Parikh, director, department of mental health and behavioral sciences, Fortis Healthcare. The overall objective was to establish a baseline of children’s awareness of and engagement with the world’s children issues and use the inputs to generate awareness among countries. “We will build on the information generated and run campaigns. We will utilize this data to help us focus on children’s issues and ask governments to prioritize their focus,” said Forsyth.